In today’s world, hunter’s privileges are constantly being targeted, making it more important than ever to stick together and stay informed as a group. The best thing about this attack on hunter’s opportunity is that in our modern world technology has made communication easier and more efficient than ever. Utilizing social media such as Facebook, Twitter and e-mail, we can communicate with the click of a mouse. Social media is a great way to keep ISB members up to date with current events and problems that arise in the bowhunting community. Facebook, twitter, and e-mail are very good examples of communication tools. They all have a large number of users and a widespread audience. Vital information becomes easy to access, and can be a great contributor to the continued growth in the bowhunting community. One recent example of information being spread was when the Idaho Fish and Game proposed to close unit 39 to late season archery hunt. This is a perfect example where ISB actively informed its members of the situation and the informed members came into play. 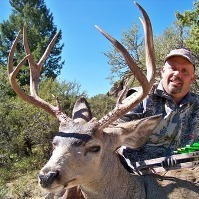 Information was spread on the Idaho State Bowhunters Facebook page and soon the privilege to hunt was preserved. Social media can also help with matters that are smaller. Recently, on the same Facebook page there was a request for volunteers to help plant sage brush. What makes this so great? Through social media, with one click of a button, hundreds of people can see this need. They can easily coordinate, and be a part of the event. This is much more efficient than relying on word of mouth to carry information across the state to the archery community. Another area that can impact how information is spread is through the body of the ISB community itself. Social media not only informs archers of the trials ahead, but it has the ability to bring archers together. The larger the community, the more informed the community becomes, the more powerful the voice of ISB becomes. For example, ISB puts on the state archery shoot in Stanley, Idaho. It is not only a great archery competition, but it is a great opportunity to have archers from all over the state come together to meet and discuss important issues. If you are a bowhunter with concerns for the future of this great sport, get involved and make a difference. 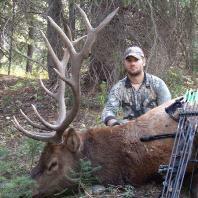 You can do so by becoming a member of the Idaho State Bowhunters.